Washington State University (WSU) researchers have developed a new technology that could triple the capacity of lithium-ion batteries, which as anyone who owns a cell phone or laptop knows, can be frustratingly limiting. Grant Norton and student, David Mackay. Photo by WSU Photo Services. Led by Grant Norton, professor in the School of Mechanical and Materials Engineering, the researchers have filed patents on the nanoscale-based technology, which also allows the batteries to re-charge many more times and more quickly than current models. They expect to bring it to the market within a year. In particular, the researchers have developed an anode made of tin, rather than the carbon used currently. Rechargeable lithium ion batteries are made up of two electrodes, the cathode and an anode. During charging, the lithium ions move from the cathode to the anode. The anode holds the lithium ions and stores the battery’s energy. When the battery is used, the ions move from the anode to the cathode, discharging electrons and creating an electric circuit. The new tin anode has the potential to store almost three times the energy of graphite. Norton and postdoctoral researcher Uttara Sahaym developed the novel material a little over a year ago while working on a project to mitigate tin whiskers, which are literally tiny whiskers that grow on tin-plated electronics. The whiskers, which can sometimes grow as long as 10 millimeters, are a pesky problem in microelectronics because they create short circuits that can cause catastrophic damage. Yet, despite the fact that tin whiskers have been causing problems for more than 60 years, researchers have been unable to come up with ways to entirely avoid them. Norton and his group decided to turn the problem on its head and see if they could control the growth of tin whiskers, instead of trying to get rid of them. They applied the work to developing a tin-based anode for batteries. The researchers developed a method for growing tin nanoneedles directly onto copper foil using a standard electroplating process that is commonly used in industry. Electroplating means the tin-based anode costs less than regular graphite anodes with triple the energy storage capacity. The end product battery will look exactly the same as the current batteries, so that manufacturers don’t have to redesign their electronic devices to make room for a new battery. With support from the WSU College of Engineering and Architecture’s Emerging Technology Fund, which is funded by private donations, the researchers have started building and testing the batteries. Animals might not analyze their emotions the way humans do, but they do experience them, according to Jaak Panksepp, a professor and researcher at Washington State University. A relatively new addition to WSU's Department of Veterinary and Comparative Anatomy, Pharmacology and Physiology, Panksepp believes "people don't have a monopoly on emotion; rather, despair, joy and love are ancient, elemental responses that have helped all sorts of creatures survive and thrive in the natural world." Since arriving at WSU, he has ushered in a new area of study called "affective neuroscience." It involves the study of the basic processes that create and control moods, feelings and attitudes in both people and animals. "This doesn't imply that animals think about their feelings like people do," said Panksepp, "but they do experience them in similar ways." Born in Estonia, he brings with him an extensive portfolio of both domestic and international neuroscience credentials. He also is already something of a celebrity, having been featured on MSNBC and in Psychology Today. Panksepp's research goal is to offer a scientific strategy for understanding the basic emotional feelings in the mammalian brain, including humans, by accurately studying the instinctual emotional behaviors of animals. He is developing the idea that emotional feelings are closely linked to the instinctual actions animals exhibit. "All animals have instinctual behaviors, so therefore we target the instinctual circuits," he said. "We can stimulate a circuit - say by gently tickling a rat - to essentially ask the animal if he likes the circuit on or off (rats like it on). They always choose one way or the other. Mother Nature built it in such a way that a feeling component is part of the instinctual system. Practically speaking, this understanding of animal behavior and the neurochemistry behind emotion may help lead to breakthrough treatments for an array of psychological disorders such as schizophrenia, depression, autism, sleep problems and more, Panksepp said. In the late 1970s and early 80s, he and his colleagues developed the first animal model for autism. Later, they tested autistic children in Salzburg using an opiate blocking drug called naltrexone. Given very low doses of naltrexone, which mildly shift chemical balances in the body and brain, Panksepp and his team found that some children became more cheerful and responsive. "We are working with the body's own chemistry in these studies," he said, "so there are few side effects. In general, the drug increases social desire and we speculate that some autistic children have a higher than normal opiate level in their brain, causing them to become socially aloof. In effect, they have become addicted to themselves," he said. Panksepp is also toying with the idea that low dose naltrexone might be effective in mood regulation, which may be something he plans to investigate in the future. By blocking the opioid system only at night, they effectively hope to encourage the brain's natural opioid system to become more active during the day. With millions of questions yet to answer in this new area of study, Panksepp plans to continue his investigations at WSU and to collaborate with researchers there and many other universities. He is most interested in the organization of the "social brain" and social emotions - joy and sadness - especially by focusing on the emotional sounds of animals. In his recent work, Panksepp has found that young rats make chirping sounds outside the range of human hearing, especially while playing. These high-pitched sounds appear to have a deep ancestral relationship to infantile human laughter - the essence of social joy, he said. The brain systems that generate these play sounds feel good, since the animals like to have those brain areas "tickled". The work provides a greater understanding of positive emotions that may eventually help in the development of better antidepressants. But finding a species in which he could study both systems effectively at the same age has proved to be difficult. Panksepp's group recently started to focus their research on the degu - a small, guinea pig-like rodent native to Chile. The playful degus have a wide repertoire of vocalizations which are the basis for many of Panksepp's current studies at WSU. Panksepp is a world leader in the new science of how emotions are controlled by the brain. Beside his current work with positive social emotions, he has also helped show how specific brain mechanisms that control desire, anger and separation distress are organized in the brain, and that many animals even have subtler emotions such as the "quest for nurturance and the desire to offer care" - just as anyone who has ever owned and loved a dog might suspect. Jaak Panksepp, WSU professor and researcher, seeks to offer a scientific strategy for understanding the basic emotional feelings in the mammalian brain, including humans, by accurately studying the instinctual emotional behaviors of animals. He is developing the idea that emotional feelings are closely linked to the instinctual actions animals exhibit. The southern Atacama Desert is pictured in this Envisat image, with the border of Chile (west) and Argentina (east) running down the middle. The Atacama is believed to be the driest desert in the world, and the lack of cloud cover in this image highlights the dry climate. Just off the coast, the cold surface of the South Pacific Ocean leads to a cooling of air masses, resulting in cloud formation and precipitation over the water. These clouds can clearly been seen in the image, though they rarely reach the land. This phenomenon is common in several coastal areas such as the North American deserts of the southwestern United States and Mexico, or the Namib Desert on the west coast of southern Africa. Because of the plateau’s high altitude, low cloud cover and lack of light pollution, it is one of the best places in the world to conduct astronomical observations and home to two major observatories. Some areas of the desert have been compared to the planet Mars, and have been used as a location for filming scenes set on the red planet. ESA recently tested a self-steering rover in the Atacama, which was selected for its similarities to martian conditions. The desert also has rich deposits minerals like copper, and is home to the world’s largest natural supply of sodium nitrate. East of the desert plateau are the Andes mountains and some greener areas of northern Argentina, though still very arid. The population is concentrated around water courses, water being distributed by canals and irrigation ditches. This image was acquired by Envisat’s MERIS instrument on 4 March. NASA's Nuclear Spectroscopic Telescope Array, or NuSTAR, has snapped its first test images of the sizzling high-energy X-ray universe. The observatory, launched June 13, is the first space telescope with the ability to focus high-energy X-rays, the same kind used by doctors and dentists, into crisp images. NASA's Nuclear Spectroscopic Telescope Array, or NuSTAR, has taken its first snapshots of the highest-energy X-rays in the cosmos (lower right), producing images that are much crisper than previous high-energy telescopes (example in upper right). NuSTAR chose a black hole in the constellation Cygnus (shown in the skymap on the left) as its first target due to its brightness. This image comparison demonstrates NuSTAR's improved ability to focus high-energy X-ray light into sharp images. The image on the left, taken by the European Space Agency's INTEGRAL satellite, shows high-energy X-rays from galaxies beyond our own. The light is "unresolved," meaning that individual objects creating the light -- in particular, the active supermassive black holes -- cannot be distinguished. The image on the right shows a simulated view of what NuSTAR will see at comparable wavelengths. NuSTAR will be able to identify individual black holes making up the diffuse X-ray glow, also called the X-ray background. The observatory will have 100 times better sensitivity than its predecessors, and 10 times sharper resolution. It will probe deeper into the mysterious regions surrounding black holes, and will discover never-before-seen black holes enshrouded in dust. Relatively few galaxies possess the sweeping, luminous spiral arms or brightly glowing center of our home galaxy the Milky Way. In fact, most of the Universe's galaxies look like small, amorphous clouds of vapor. One of these galaxies is DDO 82, captured here in an image from the NASA/ESA Hubble Space Telescope. Though tiny compared to the Milky Way, such dwarf galaxies still contain between a few million and a few billion stars. DDO 82, also known by the designation UGC 5692, is not without a hint of structure, however. Astronomers classify it as an "Sm galaxy," or Magellanic spiral galaxy, named after the Large Magellanic Cloud, a dwarf galaxy that orbits the Milky Way. That galaxy, like DDO 82, is said to have one spiral arm. Plant scientists have imaged and analyzed, for the first time, how a potted plant's roots are arranged in the soil as the plant develops. In this study, to be presented at the Society for Experimental Biology meeting on 30th June, the team has also found that doubling plant pot size makes plants grow over 40% larger. This image shows the roots of a barley plant in a cylindrical pot imaged by MRI 44 days after sowing. Blue roots are in the outer 50 percent of the pot volume, yellow roots are in the inner 50 percent of the pot volume, the stem of the barley plant is in red. From their 3-D MRI root scans, the researchers observed that potted plants quickly extend their roots to the pot's walls. It is likely that the plants use their roots to 'sense' the size of the pot, although the details of how the roots relay the message about the pot's size remain the plants' secret. This image shows the roots of a sugar beet growing in a cylindrical pot, imaged by MRI 44 days after sowing. Roots in blue grew in the outer 50 percent volume of the pot, roots in yellow grew in the inner 50 percent pot volume, and the storage organ of the sugar beet is in red. A volcanic eruption around 579 million years ago buried a 'nursery' of the earliest-known animals under a Pompeii-like deluge of ash, preserving them as fossils in rocks in Newfoundland, new research suggests. A team from the Universities of Oxford and Cambridge, in collaboration with the Memorial University of Newfoundland, looked for evidence of life from the mysterious Ediacaran period (635-542 million years ago) in which the first 'animals' – complex multicellular organisms – appeared. The team discovered over 100 fossils of what are believed to be 'baby' rangeomorphs; bizarre frond-shaped organisms which lived 580-550 million years ago and superficially resemble sea-pen corals but, on closer inspection, are unlike any creature alive today. This 'nursery' of baby rangeomorphs was found in rocks at the Mistaken Point Ecological Reserve in Newfoundland, Canada. The fossil remains of rangeomorphs are often described as 'fern-like' and where exactly they fit in the tree of life is unclear. Because they lived deep beneath the ocean where there would have been no light they are not thought to be plants but they may not have had all of the characteristics of animals. Mysteriously, their frond-shaped body-plan, which might have helped them gather oxygen or food, does not survive into the Cambrian period (542-488 million years ago). Juvenile Trepassia wardae showing the fine detail of its branching pattern. This specimen is just 3 millimetres wide. 'The fossilised 'babies' we found are all less than three centimetres long and are often as small as six millimetres; many times smaller than the 'parent' forms, seen in neighbouring areas, which can reach up to two metres in length,' said Professor Martin Brasier of Oxford University’s Department of Earth Sciences, one of the authors of the report. 'This new discovery comes from the very bottom of the fossil-bearing rocks, making it one of the oldest bedding planes to preserve 'animal' fossils in the whole of the geological record. Possible new fossil form. This organism has a long curved stem with fine 'branches' at its tip; these branches are some of the smallest organic features preserved at this locality. The find reinforces the idea that 'life got large' around 580 million years ago, with the advent of these frond-like forms, some of which grew up – in better times – to reach almost two metres in length. Jack Matthews of Oxford University photographing rangeomorph fossils in the rocks at the Mistaken Point Ecological Reserve, Newfoundland. View of rocky shore at Mistaken Point Ecological Reserve, Newfoundland. Imagine a kerosene lamp that continued to shine after the fuel was spent, or an electric stove that could remain hot during a power outage. Photo by Caroline Perry, SEAS Communications. If you break a bone, you know you'll end up in a cast for weeks. But what if the time it took to heal a break could be cut in half? Or cut to just a tenth of the time it takes now?Qian Wang, a chemistry professor at the University of South Carolina, has made tantalizing progress toward that goal. Qian Wang at work among plants that host some of the building blocks of his nanomolecular scaffolds. The key to hastening bone healing or growth is to coax a perfectly natural process to pick up the pace. "If you break a rib, or a finger, the healing is automatic," said Wang. "You need to get the bones aligned to be sure it works as well as possible, but then nature takes over." Healing is indeed very natural. The human body continuously generates and circulates cells that are undifferentiated; that is, they can be converted into the components of a range of tissues, such as skin or muscle or bone, depending on what the body needs. The conversion of these cells – called stem cells – is set into motion by external cues. In bone healing, the body senses the break at the cellular level and begins converting stem cells into new bone cells at the location of the break, bonding the fracture back into a single unit. The process is very slow, which is helpful in allowing a fracture to be properly set, but after that point the wait is at least an inconvenience, and in some cases highly detrimental. "With a broken femur, a leg, you can be really incapacitated for a long time," said Wang. "In cases like that, they sometimes inject a protein-based drug, BMP-2, which is very effective in speeding up the healing process. Unfortunately, it's very expensive and can also have some side effects." Over the course of the past four years, they've demonstrated that it's a combination of the chemistry as well as the topography of the surface that determines how long it takes a stem cell to form bone nodules. The stem cells are nestled into a nanotopgraphy defined by the plant virus, and within that nanotopography the cells make contact with the variety of chemical groups on the viral surface. Wang and his team are now asserting control over these variables. In the most recent effort spearheaded by Lee, they built up a layer-by-layer assembly underneath the virus coating to ensure stability. They also genetically modified the viral protein to enhance the interaction between the coating and the stem cells and help drive them toward bone growth. Their efforts were rewarded with bone nodules that formed just two days after the addition of stem cells, compared to two weeks with a standard glass surface. They're also carefully following the cellular signs involved with success. BMP-2 is involved, but as an intrinsic cellular product rather than an added drug. "BMP-2 is bone morphogenetic protein 2. It can be added as a protein-based drug, but it's a natural protein produced in the cell," said Wang. "We see upregulation of the BMP-2 within 8 hours with the new scaffold." They also find osteocalcin expression and calcium sequestration, two processes associated with bone formation, to be much more pronounced with their new coatings. "What we've seen could prove very useful, particularly when it comes to external implants in bones," said Wang. "With those, you have to add a foreign material, and knowing that a coating might increase the bone growth process is clearly beneficial." "But more importantly, we feel we're making progress in a more general sense in bone engineering. We're really showing the direct correlation between nanotopography and cellular response. If our results can be further developed, in the future you could use titanium to replace the bone, and you might be able to use different kinds of nanoscale patterning on the titanium surface to create all kinds of different cellular responses." Chuanbin Mao, a professor in the department of chemistry and biochemistry at the University of Oklahoma who was not involved in the work, wrote in an e-mail that he was "amazed and excited" by the results. "The display of peptides on viruses, including Tobacco mosaic virus, is a powerful approach for studying how engineered virus particles can direct stem cell differentiation." "The discovery that the display of a cell adhesion peptide on Tobacco mosaic virus can enable the rapid differentiation of stem cells into bone-forming cells is very important for guiding scientists in designing a scaffold that can induce rapid bone formation in regenerative medicine. Over the years, the telephone has gone mobile, from the house to the car to the pocket. The University of South Carolina's Xiaodong Li envisions even further integration of the cell phone – and just about every electronic gadget, for that matter – into our lives. Distances on Earth can be measured with great accuracy by using the technique of Very Long Baseline Interferometry, which was originally developed to study distant astronomical objects called quasars. If the day seems a little longer than usual on Saturday, June 30, 2012, that's because it will be. An extra second, or "leap" second, will be added at midnight to account for the fact that it is taking Earth longer and longer to complete one full turn—a day—or, technically, a solar day. "The solar day is gradually getting longer because Earth's rotation is slowing down ever so slightly," says Daniel MacMillan of NASA's Goddard Space Flight Center in Greenbelt, Md. June 30 will be one second longer than the typical day. Rather than changing from 23:59:59 on June 30 to 00:00:00 on July 1, the official time will get an extra second at 23:59:60. Scientists know exactly how long it takes Earth to rotate because they have been making that measurement for decades using an extremely precise technique called Very Long Baseline Interferometry (VLBI). 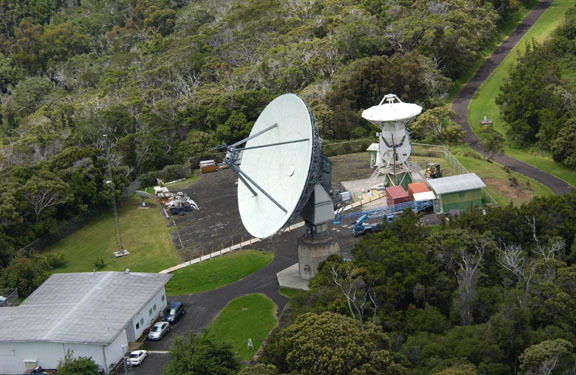 VLBI measurements are made daily by an international network of stations that team up to conduct observations at the same time and correlate the results. NASA Goddard provides essential coordination of these measurements, as well as processing and archiving the data collected. And NASA is helping to lead the development of the next generation of VLBI system through the agency's Space Geodesy Project, led by Goddard. With this antenna at Kokee Park on the Hawaiian island of Kauai, NASA makes regular VLBI (Very Long Baseline Interferometry) measurements that are used in the time standard called UT1 (Universal Time 1). From VLBI, scientists have learned that Earth is not the most reliable timekeeper. The planet's rotation is slowing down overall because of tidal forces between Earth and the moon. Roughly every 100 years, the day gets about 1.4 milliseconds, or 1.4 thousandths of a second, longer. Granted, that's about 100 or 200 times faster than the blink of an eye. But if you add up that small discrepancy every day for years and years, it can make a very big difference indeed. "At the time of the dinosaurs, Earth completed one rotation in about 23 hours," says MacMillan, who is a member of the VLBI team at NASA Goddard. "In the year 1820, a rotation took exactly 24 hours, or 86,400 standard seconds. Since 1820, the mean solar day has increased by about 2.5 milliseconds." By the 1950s, scientists had already realized that some scientific measurements and technologies demanded more precise timekeeping than Earth's rotation could provide. So, in 1967, they officially changed the definition of a second. No longer was it based on the length of a day but on an extremely predictable measurement made of electromagnetic transitions in atoms of cesium. These "atomic clocks" based on cesium are accurate to one second in 1,400,000 years. Most people around the world rely on the time standard based on the cesium atom: Coordinated Universal Time (UTC). "These reference points are very distant astronomical objects called quasars, which are essentially motionless when viewed from Earth because they are located several billion light years away," says Goddard's Stephen Merkowitz, the Space Geodesy Project manager. For VLBI observations, several stations around the world observe a selected quasar at the same time, with each station recording the arrival of the signal from the quasar; this is done for a series of quasars during a typical 24-hour session. These measurements are made with such exquisite accuracy that it's actually possible to determine that the signal does not arrive at every station at exactly the same time. From the miniscule differences in arrival times, scientists can figure out the positions of the stations and Earth's orientation in space, as well as calculating Earth's rotation speed relative to the quasar positions. NASA's Marshall Space Flight Center in Huntsville, Ala. is leading an international effort to develop and launch the High Resolution Coronal Imager, or Hi-C, on a sounding rocket from the White Sands Missile Range at White Sands, N.M. Hi-C is a next-generation suborbital space telescope designed to capture the highest-resolution images ever taken of the million-degree solar corona. Key partners include the University of Alabama at Huntsville, Smithsonian Astrophysical Observatory, University of Central Lancashire in Lancashire, England, and the Lebedev Physical Institute of the Russian Academy of Sciences. Hi-C will image the Sun at a 5x higher resolution (0.1 arcsec/pixel image) than any previously done. The mission will demonstrate the technology necessary to collect 150-kilometer-resolution images of the sun in the extreme ultraviolet spectrum. Using a resolution 5 times greater than any previous imager, Hi-C will observe the small-scale processes that exist everywhere in hot magnetized coronal plasma. Below image is 0.5 arcsec/pixel. Understanding the sun's activity and its effects on Earth's environment is the critical scientific objective of Hi-C, which will provide unique, unprecedented views of the dynamic activity in the solar atmosphere. The telescope is slated for launch in July 2012. It will fly aboard a Black Brant sounding rocket to be launched from the White Sands Missile Range in New Mexico. The mission will demonstrate the technology necessary to collect 150-kilometer-resolution images of the sun in the extreme ultraviolet spectrum. Using a resolution 5 times greater than any previous imager, Hi-C will observe the small-scale processes that exist everywhere in hot magnetized coronal plasma. Additionally, the mission is designed to study the mechanisms for growth, diffusion and reconnection of magnetic fields of the corona, and to help understand the coupling of small-scale dynamic and eruptive processes to large scale dynamics. A major scientific impact of Hi-C will be to place significant new constraints on theories of coronal heating and structuring, by establishing whether or not there is additional fine structure below the current level of resolution. "This instrument could push the limits on theories of coronal heating, answering questions such as why the temperature of the sun's corona is millions of degrees higher than that of the surface," said Marshall heliophysicist, Dr. Jonathan Cirtain, who is Principle Investigator, on the Hi-C mission. "Hinode has shown that current instrumentation used for coronal structure studies has insufficient resolution to separate individual features along the line-of-sight," Cirtain said. "Hi-C will accomplish this measurement, with margin". Mountain belts on Earth are most commonly formed by collision of one or more tectonic plates. The process of collision, uplift, and subsequent erosion of long mountain belts often produces profound global effects, including changes in regional and global climates, as well as the formation of important economic resources, including oil and gas reservoirs and ore deposits. Understanding the formation of mountain belts is thus a very important element of earth science research. (A) Block diagram depicting the effect of lithospheric bending around a vertical axis and the resultant strain field (modified tangential longitudinal strain). Strain ellipses depict arc-parallel shortening in the inner arc and arc-parallel stretching in the outer arc. Note the different behavior of the mantle lithosphere in the inner and outer arcs and the increase in thickness of mantle lithosphere below the inner arc and thinning below the outer arc. (B) Snapshot illustration of arc development starting with a linear belt resulting from a Gondwana–Laurentia collision. (C) Second snapshot illustrating oroclinal bending, which causes lithospheric stretching in the outer arc and thickening beneath the inner arc (Gutiérrez-Alonso et al., 2004). (D) The final stage of oroclinal bending, depicting delamination and collapse of thickened lithospheric root beneath the inner arc, replacement of sinking lithosphere by upwelling asthenospheric mantle, and associated magmatism in the inner and outer arc regions. (E) Two tomographic views of the analogue modeled mantle lithosphere geometry after buckling around a vertical axis where the lithospheric root is developed under the inner arc (top—frontal view from the concave part of the model; bottom—view from below); 3-D coordinate axes given. (F) Tomographic 3-D image of the delaminated lithospheric root obtained with analogue modeling; 3-D coordinate axes given. One common but poorly understood aspect of mountain belts are the many examples of curved (arcuate) mountain ranges. The Appalachian range in Pennsylvania, the Rocky Mountains in central Montana, the Blue Mountains in Oregon, the Bolivian Andes of South America, and the Cantabrian Arc in Spain and northern Africa are among many examples of noticeably curved mountain belts. The cause of these curvy mountains is among the oldest topics of research in geology, and there is still extensive debate on what mechanisms are most important for making a curvy mountain range. Field photo taken from the northern hinge zone, looking south, of the doubly plunging La Cueta Syncline, located between Asturias and León, in northern Spain. Notice the dramatic change in strike of the fold limbs from NE-SW in the foreground to N-S in the center of the photo to NW-SE in the southern plunging hinge zone. The Devonian St. Lucia and Portilla limestones delineate the La Cueta Syncline, a typical sinuous structure from the hinge zone of the larger Cantabrian Orocline. Photo taken by Stephen T. Johnston. See related article, p. 4–9. A common question is whether these presently curvy mountain ranges were originally straight and then later bent or whether they were uplifted in more or less their present shape. Another important aspect of the origin of these curved mountain ranges is the thickness of the rock units involved in their formation. Some workers have proposed that these ranges are composed of relatively thin slices of crustal rocks (limited to several kilometers in thickness), while others have argued that at least some of these curvy ranges involve the entire thickness of the lithospheric plates (30 to 100 km thick). One of the most promising ways to answer these questions utilizes comparisons of the orientation of structural features in rocks (fault planes and joints), records of the ancient magnetic field directions found in rocks, and the timing of deformation and uplift of the mountain belts. An international group of researchers from Spain, Canada, and the United States, led by Dr. Gabriel Gutiérrez-Alonso, have presented a compelling study of one of the best examples of curved mountain ranges: the Cantabrian Arc in Spain and northern Africa. They have compiled an extensive collection of fault and joint orientation data and directions of the ancient geomagnetic field recorded by Paleozoic rocks collected in Spain. The Cantabrian Arc was formed during the collision of a southern set of continents (Gondwanaland [present day Africa-South America-Australia-India-Antarctica]) with a northern set of continents (Laurentia [present day North America and Eurasia]) to produce the supercontinent Pangea. In a nutshell, their combined study has found that the curved pattern of the Cantabrian Arc was produced by the bending of an originally straight mountain range. Gutiérrez-Alonso and colleagues compare the age range of this mountain bending event to the ages of igneous activity and uplift of the region and propose that widespread changes in the deeper (mantle) portion of the lithospheric plate in the area are coeval, and likely linked to, the rotation of the Cantabrian Arc to produce its characteristic sharp curviness. Based on this linkage, they propose that this, and perhaps many other, curvy mountain ranges are produced by rotation of entire portions of the lithosphere of tectonic plates, rather than just thin slices of crustal rocks. G. Gutiérrez-Alonso et al., Depto. de Geología, Universidad de Salamanca, Plaza de los Caídos s/n, 37008 Salamanca, Spain. Posted online 27 June 2012; doi: 10.1130/GSATG141A.1. This article is online now at www.geosociety.org/gsatoday/archive/22/7/. GSA Today articles are open access online; for a print copy, please contact Kea Giles atkgiles@geosociety.org. Please discuss articles of interest with the authors before publishing stories on their work, and please make reference to GSA Today in articles published. Humanoid robots can walk down the street in ten years and live with humans without them being aware they are electronic in nature, said a professor at the University of Aalborg (Denmark), Henrik Scharfe last Friday in Lima, who has created a robot with the same appearance. ExpoTic During the inauguration of 2012, the first international exhibition and conference infrastructure and technological innovation that took place in Lima, Scharfe presented Geminoid-DK, a robot created in his image and likeness, capable of imitate your facial movements and conversations with your ideologue. At a conference, Scharfe said his robotic clone, which currently sits and connected to a computer, you can walk down the street and interact with other people "in just a decade, if at that time advanced infrastructure is built, converging sources technological and took laboratory robots. " Marcello Canuto (Tulane University) and UT Professor David Stuart. David Stuart and Marcello Canuto examining looted panels. A University of Texas at Austin research team successfully demonstrated for the first time that the GPS signals of an unmanned aerial vehicle (UAV), or drone, can be commandeered by an outside source — a discovery that could factor heavily into the implementation of a new federal mandate to allow thousands of civilian drones into the U.S. airspace by 2015. Cockrell School of Engineering Assistant Professor Todd Humphreys and his students were invited by the U.S. Department of Homeland Security to attempt the demonstration in White Sands, New Mexico in late June. Using a small but sophisticated UAV along with hardware and software developed by Humphreys and his students, the research team repeatedly overtook navigational signals going to the GPS-guided vehicle. Known as "spoofing," the technique creates false civil GPS signals that trick the vehicle's GPS receiver into thinking nothing is amiss — even as it steers a new navigational course induced by the outside hacker. Because spoofing fools GPS receivers' on both their location and time, some fear that most GPS-reliant devices, infrastructure and markets are vulnerable to attacks. That fear was underscored — but not proven — when a U.S. military drone disappeared over Iran late last year and showed up a week later, intact, and in the care of Iranians who claimed to have brought the vehicle down with spoofing. The recent demonstration by University of Texas at Austin researchers is the first known unequivocal demonstration that commandeering a UAV via GPS spoofing is technically feasible. "I think this demonstration should certainly raise some eyebrows and serve as a wake-up call of sorts as to how safe our critical infrastructure is from spoofing attacks," said Milton R. Clary, a senior Department of Defense (DoD) Aviation Policy Analyst at Overlook Systems Technologies, which is working with the federal government to develop programs that identify and mitigate spoofing attacks. Humphreys said his research team wanted to demonstrate the potential risks associated with spoofing early on in the Federal Aviation Administration's task to write the mandated rules that will allow government and commercial drones in the U.S. airspace by 2015. "We're raising the flag early on in this process so there is ample opportunity to improve the security of civilian drones from these attacks, as the government is committed to doing," Humphreys said. Prior to the White Sands demonstration, Humphreys and his students worked with university athletics officials to perform a trial run at the Darrell K. Royal stadium. High school students visiting campus for the university's My Introduction to Engineering summer camp watched the demonstration and were able to ask Humphreys and his students questions about their work. Humphreys began the research on GPS security prior to joining The University of Texas at Austin three years ago, but he said the research received a crucial boost of momentum and financial support from the university and the Cockrell School of Engineering. "What's great at The University of Texas at Austin is this structure and culture in place that supports incoming professors with the funds to do risky types of research — the kind that's so bold and forward-thinking that it might not have an outside sponsor to fund it yet," Humphreys said. "It's a distinct and valuable trait of the university that benefits me, my students and the types of research we can pursue." The interdisciplinary research coupled undergraduate and graduate students from aerospace engineering and electrical and computer engineering; specifically, from the Center for Space Research and the Wireless Networking and Communications Group. Over the course of the project, students designed hardware and software, and learned to improvise on the spot when things didn't always go their way. "During the demonstration at White Sands I was so impressed by how resourceful my students were in the face of technical setbacks we had in the beginning," Humphreys said. "They kept a steady hand and we prevailed in the end, which really showed me the flexibility of these young and bright minds." Daniel Shepard, an aerospace engineering graduate student who lead the UAV spoofing effort, said he was grateful for the opportunity to do the hands-on research beginning when he was an undergraduate student. "It's rewarding to lead research that has an impact on improving national security, and, on a personal level, this specific project had a lot of value for me because I was working on things, like software development, that I typically wouldn't be involved with as an aerospace student," Shepard said. "The unique fusion of electrical engineering and aerospace engineering has been very valuable for cultivating my engineering expertise." During the spoofing demonstration at White Sands, the research team took control of a hovering UAV from about a kilometer away. Next year, they plan to perform a similar demonstration on a moving UAV from 10 kilometers away. Yao Yang: When Will China's Economy Overtake The US Economy? Is China poised to surpass the United States to become the world’s largest economy? The International Monetary Fund recently predicted that the size of China’s economy would overtake that of the US in terms of purchasing power parity (PPP) by 2016. But a recent co-authored study by Robert Feenstra, an economist at the University of California, Davis, shows that global economic leadership would pass to China in 2014. And, even more radically, Arvind Subramanian of the Peterson Institute of International Economics argues that China actually surpassed the US in PPP terms in 2010. Purchasing power parity measures a country’s income using a set of international prices applied to all economies. Prices in developing countries are usually lower than in the developed countries. Therefore, their income could be underestimated if calculated only according to the exchange rate. Income measured in PPP helps to avoid this problem. But estimating PPP income raises its own set of problems. One consists in the fact that every country has a different consumption basket, with the greatest disparity between developing and developed countries. For example, foods usually account for 40% or more of household expenditure in a typical developing country, whereas the figure is less than 20% in most developed countries. The purpose of PPP comparison is to measure a country’s real quality of life. In this case, it can be thought of as comparing each country’s aggregate good, composed of the goods in each country’s consumption basket. But this aggregate good does not have the same components across countries. That is, PPP calculations effectively compare apples with oranges. This argument may sound technical, but it has profound implications for cross-country comparisons of life quality. Suppose we compare two countries. One of them is agriculture-based, and people consume only food, while the other is industry-based, and people not only consume food but also buy clothes. The share of their expenditure on these two items is 20% and 80%, respectively. Suppose, further, that per capita nominal income at the market exchange rate in the second country is four times higher than in the first. Food prices are the same in the two countries, while in the second country, the price of cloth is five times higher than the price of food. In this example, the price of the aggregate good in the second country is 4.2 times the price of the aggregate good in the first country. Further calculation reveals that, in PPP terms, a person in the second country is 5% poorer than a person in the first country! This absurd result is possible only because PPP is comparing two different consumption bundles. But the consumption basket of an average Chinese is vastly different from the consumption basket of an average American, so PPP comparisons between China and the US can be misleading. PPP gives an answer to the following question: how much does a Chinese need to earn to maintain his quality of life in China when he moves to the US? But this question is neither intuitive nor realistic. When it comes to the comparison of purchasing power in the international market, a more sensible question is: how many goods can a Chinese buy in the US using the income he earns in China? One must rely on nominal income to provide an answer to this question. In this case, a 10% appreciation of RMB increases the purchasing power of a Chinese person in the US by exactly 10%, whereas his life quality does not change in PPP terms. But China would surpass the US in a relatively short period of time even if we measured both countries’ economies in nominal terms. Assuming that the Chinese and US economies grow, respectively, by 8% and 3% in real terms, that China’s inflation rate is 3.6% and the US’s is 2% (the averages of the last decade), and that the RMB appreciates against the dollar by 3% per year (the average of the last six years), China would become the world’s largest economy by 2021. By that time, both countries’ GDP will be about $24 trillion, perhaps triple the size of the third largest economy, either Japan or Germany. Assuming 8% growth for China may or may not be a sure bet. But if China grew by 9-10% in the first five years and by 6-7% in the next five years, the target for an average of 8% between now and 2021 would be met. The world has already begun to demand that China assume greater responsibility for the global economy’s health. As China’s economy continues to grow and eventually matches the US's GDP, this demand will become stronger. By almost all recent estimates, China has little time to prepare. Cognitive skills such as learning and memory diminish with age in everyone, and the drop-off is steepest in Alzheimer's disease. Texas scientists seeking a way to prevent this decline reported exciting results this week with a drug that has Polynesian roots. Mice are burrowers that prefer tunnels with walls. To observe behavior, Halloran used an elevated maze of tunnels that led to a catwalk. "All of a sudden the mice are in open space," Halloran said. "It's pretty far from the floor for their size, sort of like if a person is hiking and suddenly the trail gets steep. It's pretty far down and not so comfortable." Mice with less anxiety were more curious to explore the catwalk. "We observed that the mice fed with a diet containing rapamycin spent significantly more time out in the open arms of the catwalk than the animals fed with a regular diet," Halloran said. The second test measured depressive-like behavior in the rodents. Mice do not like to be held by their tails, which is the way they are moved from cage to cage. Inevitably they struggle to find a way out. "So we can measure how much and how often they struggle as a measure of the motivation they have to get out of an uncomfortable situation," Dr. Galvan said. Some mice barely struggle to get free, but if an antidepressant is administered they struggle a lot more. This behavior is very sensitive to the action of antidepressants and is a reliable measure of whether a drug is acting like an antidepressant, Dr. Galvan said. "We found rapamycin acts like an antidepressant — it increases the time the mice are trying to get out of the situation," she said. "They don't give up; they struggle more." The reductions of anxiety and depressive-like behavior in rapamycin-treated mice held true for all ages tested, from 4 months of age (college age in human years) to 12 months old (the equivalent of middle age) to 25 months old (advanced age). The researchers measured levels of three "happy, feel-good" neurotransmitters: serotonin, dopamine and norepinephrine. All were significantly augmented in the midbrains of mice treated with rapamycin. "This is super-interesting, something we are going to pursue in the lab," Dr. Galvan said. Dr. Galvan and her team published research in 2010 showing that rapamycin rescues learning and memory in mice with Alzheimer's-like deficits. The elevation of the three neurotransmitters, which are chemical messengers in the brain, may explain how rapamycin accomplished this, Dr. Galvan said. Rapamycin is an antifungal agent administered to transplant patients to prevent organ rejection. The drug is named for Rapa Nui, the Polynesian title for Easter Island. This island, 2,000 miles from any population centers, is the famed site of nearly 900 mysterious monolithic statues. How The Universe Escaped Its "Dark Ages"